Those who know me well, know I don’t judge a person by his/her politics, religion, race or any other petty nonsense. I try my best not to judge anyone but the times I miss the mark, I just judge on character. And that’s okay. It’s not perfect but it’s human. I learn to not only tolerate but celebrate differences of opinion. If everyone believed, voted or acted like me, we’d live in a very boring world (and my wife thinks “probably a bit immature one too”) I’m sure. Most my posts are intended to be humorous. Occasionally I will create something I see as “a truth”; and test it here. Sometimes it ruffles feathers and that’s a good thing. I never personally attack anyone who visits my page. I invite social discourse, disagreements are fine and if they play by polite rules of conduct, I don’t care what their philosophy is. They are welcome to stay and debate until they are out of breath if they are enjoying it. I do not post it to be YOUR truth, I post it to see if you recognize anything in it that rings true to you also. If you don’t, it does not anger me in the least. If you do, I smile a bit. Today I posted what I saw on several Osama Bin Laden videos and “his vision for America” when he was alive. It appears 9/11 but was step one in a series of steps to “divide America” so that it would “implode from within”. It would (hopefully) cause huge financial burden. 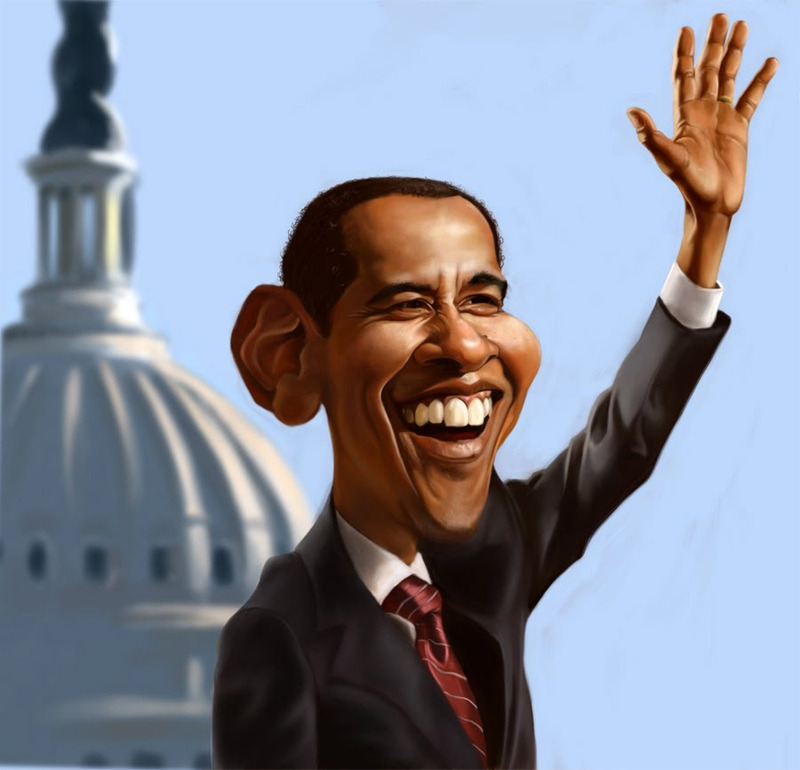 It did; bigger than he ever imagined as we almost immediately went to war; where he wasn’t…in Iraq. But his evil instincts were correct. GW Bush bought right into them as did so many of us (me included; so I was not preaching from a high horse). But I’ve seen, researched and know enough now to know what he wanted. To create a far left and far right; so far apart (especially fiscally), that America would be the Un-United States Of America. I tried far left and far right and saw the never-ending battle of pushing the other side further into their corner, and they pushing me further into mine. Then it occurred to me “the middle is where the fence is”; and there is no mending fences unless one is brave enough to move to the middle (they can stay Republican or Democrat or Liberal or Conservative) but drop the knee-jerk extremism that Bin Laden so much prayed for (and even joked about in his cave interview with Peter Bergen); and many of his solo videos (and audios). I will now always be a centrist who loves America (all of America). I will not judge on accidents of birth, status, or any other ridiculous notion. America is a very special country. Don’t believe it? Just read the Constitution. Do you think I could do what I do in any other country? Not even close. Our brilliant Constitution guarantees that I can, and (ask my wife Lee) some of the most powerful lawyers in the country have tried to make me stop (on more than one occasion): the same lawyers who have tried to make SNL stop, Mad Magazine, and other barometers that remind us if we are still living in a free nation (or not). When they are gone, so are we (at least a free America). Most of us don’t think of satire or parody that way. But The Fair Use Act speaks of its importance. I don’t care for whom you vote. That’s your business. I would never go to your page and tell you how very wrong you are if you named a candidate for whom I did not care. I would hope you would be mature enough to share the same respect. However, I don’t necessarily want you to vote for my candidate. He might not be for you. Yours might not be for me. Never try to bully me into voting for yours; you can be assured I will give the same respect. All I ask of you is to consider what Osama Bin Laden’s biggst dream for us was. A divided America. And so far, he’s getting his way. 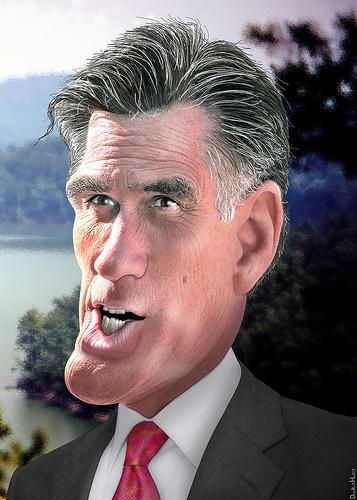 Let’s get less extreme in our views, whether left or right; otherwise, Mitt Romney is right; his death is really no big deal to be celebrated…..his dream lives on. Finally, Thank God for our U.S. Military; and we are particularly thinking of the US Navy Team 6 who took out the most evil man on the planet, the man who killed so many of our innocents and did a very successful job of dividing our nation. Now its our job to fix our nation. We can never ever let him have his way, even in death…especially in death. 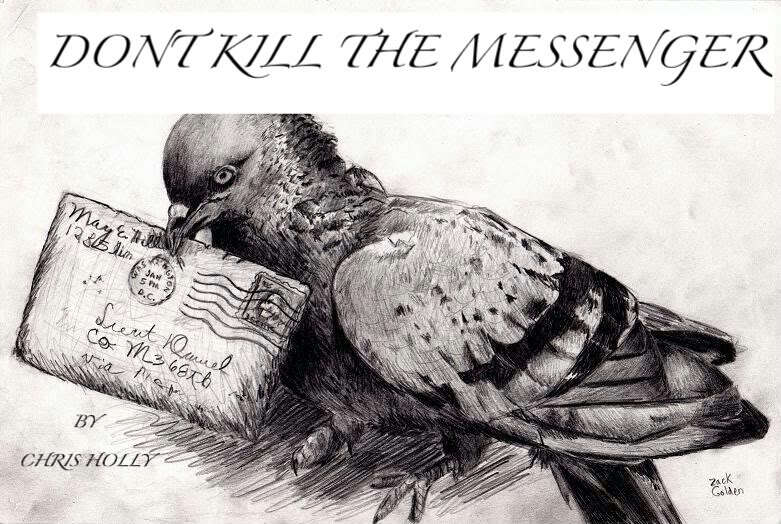 There is a tendency to kill the messenger. I encourage you to watch his videos on YouTube and you will see what I mean. It’s not me you’re angry at. You are as angry at him as I am; as he created the environment to make a far left and far right exist, fight each other to the point where they each was/is the target enemy whether it is black, white, gay, straight, Muslim, Jew, Christian, Bhuddist, Wiccan, Republican, Democrat, Liberal, Conservative and any other label people use to justify their differences. The bottom line is that we’ve been taught over the years by well-meaninged teachers, parents, ministers, tv talking heads etc. that those who believed, voted, acted etc. different than us “were the enemy”. Nothing could be further than the truth. But changing that is easier said than done. We’ve been indoctrinated to believe that; and, it is not the case. It may (as psychologists call it for many of us) take behavior modification. That could mean therapy. It might mean simply changing your mind. It may take research. 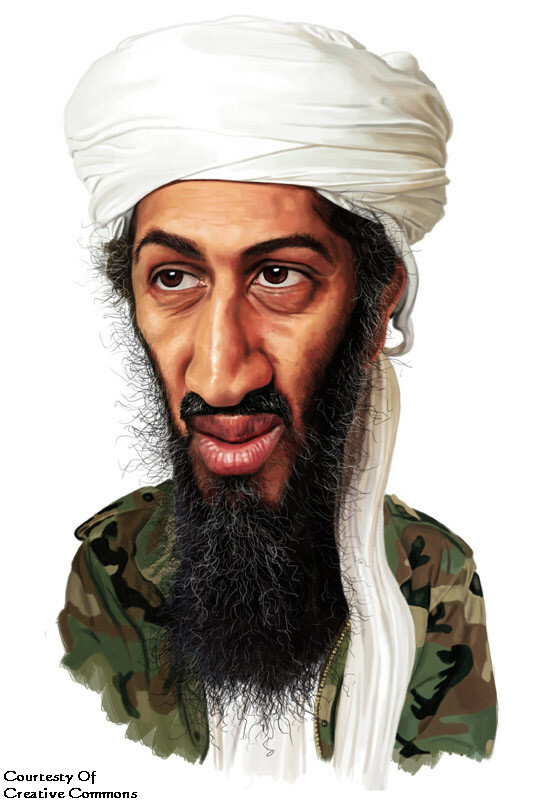 It will take what it takes, but let’s do what it takes, so that Bin Laden does not get his way. I have gotten to the point where I know that the person who votes differently than me is not my enemy. The person who has a different faith or belief or philosophy than me is not my enemy. I know that a person who competes with me doing the same kind of business is not my enemy. The irritable irrational weird uncle or relative is not my enemy. Al Queida is my enemy because I am an American, like you, and they want to kill me, and you. Those other people simply may be irritated at me, or you and that’s fine. There’s a big difference. Work on yourself as I am working on myself. I continue to head toward the center because that is where the fence that needs mending is. And together, left, right, liberal, conservative, gay, straight, black, white, etc etc etc. working TOGETHER in a democracy that our Constitution provides is unbeatable. In fact, even in “this imperfect union” if we begin to mend the fences that Al Queida almost successfully severed, that is perfect enough for me. It will be a process and there will be bumps. I am okay with that. Nobody has to change what they are, in fact please don’t change what/who you are. That is sacred and to be cherished. You are one of God’s children. But in some ways for America to work again, we may all have to change how we think and act; and not as dramatically as one thinks. Simply recognizing extremism from the far left and far right as it comes our way, and not fight back, simply let them know that sanity exists in the middle. In fact, those in the middle who accept everyone (and they have every right to stay left or right if they do not want to be part of the solution) and we can accept that. Not everyone is going to be a part of the solution. Life is not perfect nor do we live in a perfect world. But I truly believe there are enough good people out there who are sick of what we have seen over the past decade or so, the extremes (who are out for themselves, not the betterment or future of America) and its okay if they don’t to participate in the rebuilding of America. What is important is that we do. Let’s no longer justify our differences by labeling each other and/or demonizing another human being who thinks or believes different than you or me as Bin Laden so desperately wanted and came so close with his evil but clever manipulative power to make happen. Lets celebrate our same-nesses on this one year anniversary of our brave Navy Seals turning him into a rancid piece of sushi. Goodbye to bad garbage. It’s time for America to heal. Be a part of the solution, and I’ll do my best to do the same. Thanks all….and I mean ALL. You are our neighbors and friends. And that’s enough for us. Rick London is a freelance writer, songwriter, designer, and cartoonist who lives and loves America and lives in the glorious Ouachita Mountains of Arkansas with his wife nature photographer Lee Hiller-London. They are both active in environmental, animal, children and veteran causes. Rick founded Google’s #1 ranked offbeat cartoons in 1997 and Google’s number one offbeat cartoon gifts in 2006. His wife runs the popular nature wildlife blog HikeOurPlanet.com and LeeHillerDesigns.com. London recently launched his cartoons on funny hoodies at his PlanetHoodie.com shop. Follow them on Twitter @RickLondon & @LeeHillerLondon Rick London’s facebook fan page is http://www.Facebook.Com/LTCartoons. 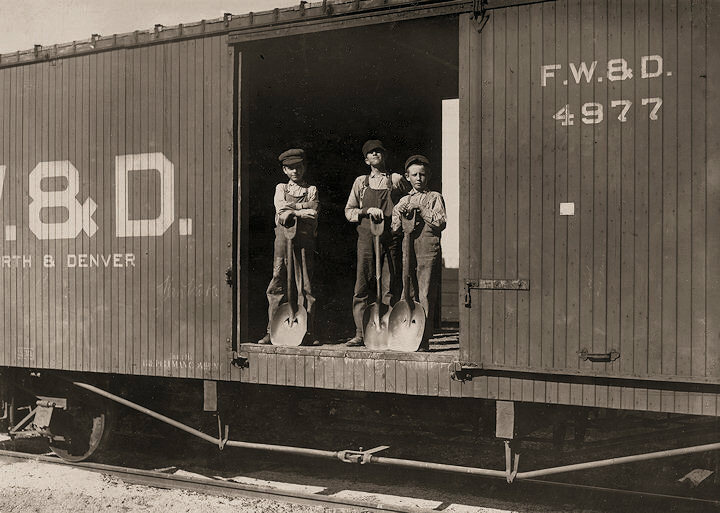 Important: Why America Must Never Legalize Mandated Child Labor…EVER AGAIN! Everyone knows I’m not a political animal. A good part of my adult life was covering politics in Washington and am fully aware what a silly circus it is. I often watch and hear political ideas and actions (from Demos and Repubs) that sound horrid, and I ignore them. It is only when I see a trend (that is obviously history repeating itself) that I speak up (especially regarding children, animals, the elderly, or anyone who is vulnerable and perhaps not aware of his her rights). 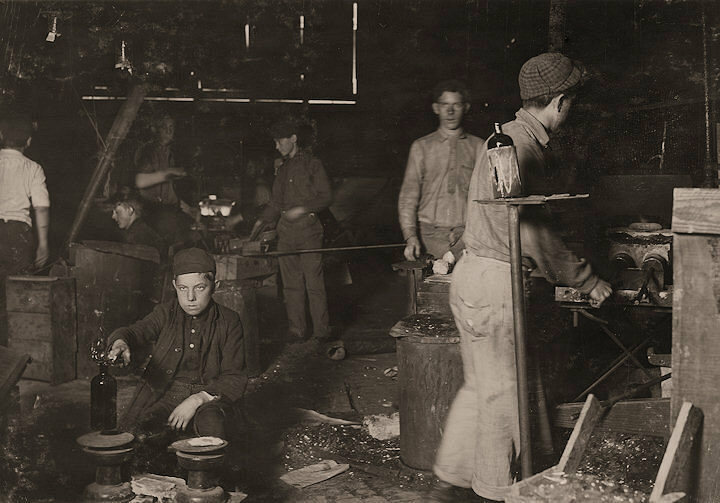 A part of American History we try to forget is our history of child labor. It was not even taught at my high school, and only glossed over in college textbooks. We know now that people who we look up to as icons can be nothing more than pedophiles. Opening up a boss/employee situation with children as subservient is not asking “if”, it is asking “when and how often”. It’s a nightmare just to imagine how it would be managed; because it couldn’t. And recently I saw several ol’ boy politicians with the “great creative idea” of bringing it back to America. It was bad enough before we knew of the pandemic of pedophilia (which most likely existed when child labor was prevalent in America). Now we know it is more common than we thought, and Newt Gingrich and Donald Trump think it is a “great idea” as it would teach poor children to work. 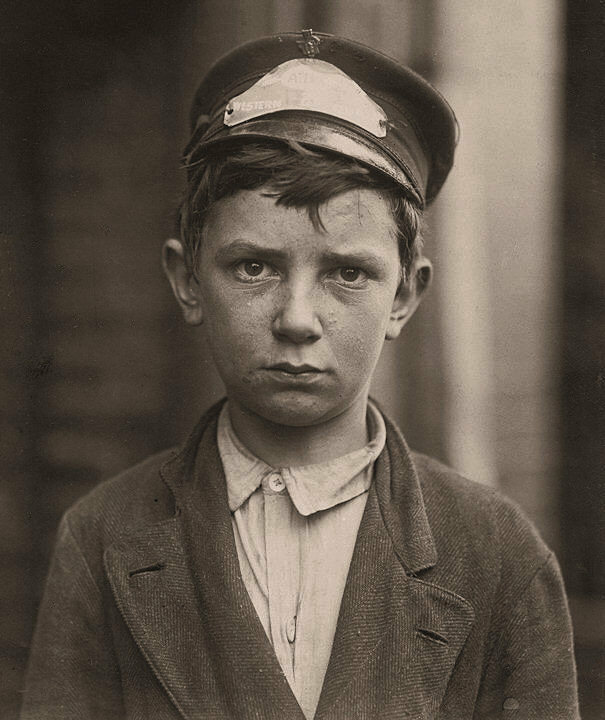 About a year ago, my wife Lee Hiller-London found an interesting historical account (complete with photos) of America (before the strict laws forbidding child labor existed). It was heartbreaking. I can’t remember if this is the same page, but it is similar. How could I not think of those photos and stories etched deeply into my psyche with children laboring until they could barely move. They looked like prisoners (and of course they probably were more so than we even knew, very much like the children who came to Sandusky’s Second Chance “for a better life”. Lee and I talked about it and agreed that the work would be as indignant as one could imagine. Add to that the ridicule, abuse, and bullying by school peers and you’ve created an at-risk child where suicide would seem the only way out; and of course many would act upon it. A fool could figure that out. Again, how sick and out of touch is this man, Gingrich. And of course I expected “The Donald” to echo “I thought it was a great idea”. I bet he did. I feel sure Jerry Sandusky would give it a thumbs up as well. Lee and I also remember growing up in middle class to upper middle class homes and though we were not made to work, we did. We wanted our own independence, but the jobs often offered a semblance of dignity. Many of our peers either did not work, some had summer jobs; and others did not until they were eighteen or even twenty one. Most of them, like us, were middle to upper middle class. If my memory serves me well, it was the very poor kids who worked the hardest (at McDonald’s, etc) feeding us. It was WE who had rarely, if ever, cleaned a bathroom, not the poor kids. Often their moms were maids. They knew full well the value of hard work (and how to clean a john). Don’t get me wrong, rich kids should have the same protection and never be made to work in jobs as a sense of punishment. Shame on Newt Gingrich for offering such a “Fix For America”. You may have some creative ideas, but trust me this is not one of them. In fact, ask Herbert Hoover. It helped lead to the Great Depression; and it was only because the Depression that such laws were passed forbidding this sinful behavior. Thank you.